Krause offers a reading of the second century CE pseudepigraphical letter 1 Timothy in the light of feminist critical studies and discourse analysis. Read as discourse, the claims of the letter come to life on the page and reveal contexts of great struggle within the ancient church. Demands for order, silence, and discipline are read for what they attempt to represent and for what they unwittingly reveal. From this perspective, the letter reveals the struggles of the early church regarding gender, class, church order and the meaning of tradition, and as such provides a lively ground for examining similar struggles facing the church today. 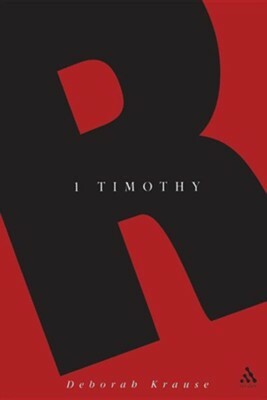 I'm the author/artist and I want to review 1 Timothy.